In his latest report, released Tuesday, Michael Pickup said the government has only completed 71 per cent of the 113 recommendations it agreed to in 2015 and 2016. Nova Scotia's auditor general says the province has failed to implement more than 30 audit recommendations from 2015 and 2016, including a number related to health care and species at risk. In his latest report, released Tuesday, Michael Pickup said the government has only completed 71 per cent of the 113 recommendations it agreed to over the two-year period. He said the latest numbers are a decrease from last year's 75 per cent rate related to recommendations accepted in 2014 and 2015. "I think that would cause folks hopefully to take a pause and say why is this happening two years after those audits were done," Pickup said in a phone interview. Of particular concern, said Pickup, are five recommendations about homes for special care, another five recommendations related to species at risk, and recommendations related to licensed child care. "I draw on those as some examples but whenever there's recommendations that aren't complete, there are risks that continue," said Pickup. "So I think all of the recommendations are important but I draw attention to those as some of the real striking examples where they had more recommendations that weren't done." For the nine audits in 2015, 87 per cent of recommendations are complete. However, for the seven audits in 2016, only 46 per cent of recommendations have been completed to date. "This falls well below what I believe is a reasonable target of 80 per cent completion when in fact government has typically accepted 100 per cent of those recommendations and government has had two years to implement them," Pickup said in a video summary of his annual report. Pickup said nine organizations completed over 80 per cent of recommendations in what Pickup called a "solid performance." The Department of Health and Wellness has completed nine of 16 recommendations, but has not completed a recommendation to review whether some hospitals located near to each other should be closed. The Health Department has also not implemented a management system for licensing and inspecting homes for special care. The Conseil Scolaire Acadien Provincial, Nova Scotia's francophone school board, has completed just one of two recommendations. The Emergency Management Office has completed two of four recommendations, but has not ensured all critical infrastructure is identified and risks mitigated in the event of disaster. The Nova Scotia Health Authority has completed two of four recommendations, but has not determined how services at the crumbling Victoria General site could be offered through new or existing sites. Lands and Forestry has completed three of nine recommendations. Recommendations not completed mostly concern species at risk regulations, monitoring and recovery plans for endangered species. Community Services has completed neither of the two recommendations that would monitor the performance of service providers and clearly establish performance expectations and reporting requirements. The Office of Aboriginal Affairs did not complete the one recommendation with regard to responsible gambling. Pickup said he hopes these reports encourage Nova Scotians and others to hold government to account for promises it has made. "This is just so critical," he said. 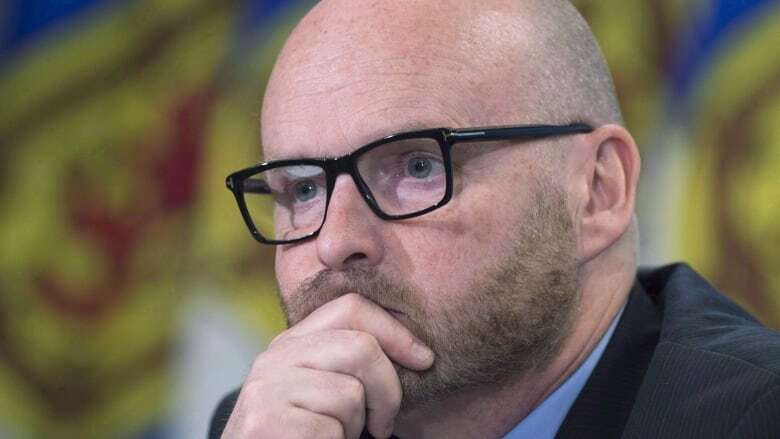 Health Minister Randy Delorey said the government is following up on the AG's recommendation to review whether some hospitals located near to each other should be closed. "We have been doing work; you see what we've done in Cape Breton," he said in reference to the Liberal's decision to close hospitals in New Waterford and North Sydney while expanding services at the Cape Breton Regional Hospital and Glace Bay hospital. He did not comment on other facilities, such as Fishermen's Memorial in Lunenburg and All Saints in Springhill, both of which are under 25 kilometres from regional hospitals in the area. Lands and Forestry Minister Iain Rankin was also in the hot seat Tuesday as his department had failed to establish monitoring and recovery plans for species at risk. Rankin said while not yet completed, that work is well underway. "I would say in the next couple of weeks we're going to have our recovery teams revitalized and strengthened and then we're going to start looking at what data we have to start looking at [and] recovery plans," he said. "We do have some research in the works and aerial surveys for most of those types of things," adding resource biologists have also been added to the department to assist in completing the AG's recommendations.